Developed and published by The Quantum Astrophysicists Guild. Available on PC(Reviewed), Xbox One, PS4, and Wii U. Released July 12, 2016. Review key provided by publisher. I covered Tumblestone last year while it was still in beta. It was an incredibly fun experience then, and very little has changed in that regard. Plenty of updates to the game, of course, but the delightful core of the experience is wholly intact. 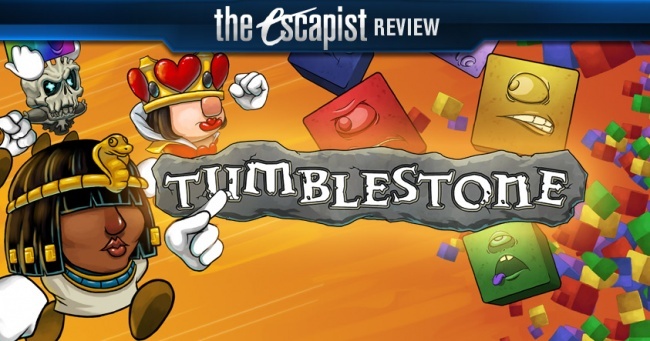 Tumblestone is from the developers behind one of my absolute favorite games from the past several years; The Bridge. It took me a while to give it a chance, since it is undeniably a match-3 game, which we've collectively grown quite weary of after the millions of hours we as a society have sunk into the genre since smartphones became a thing. 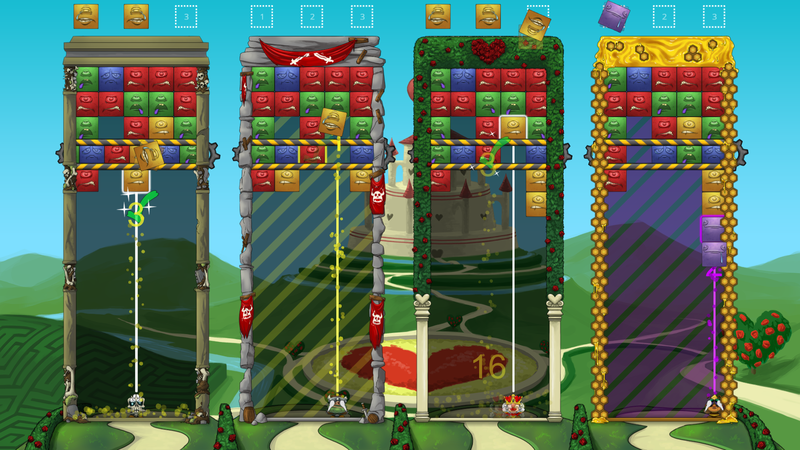 Tumblestone is a match-3 game, but it's not only a match-3 game. 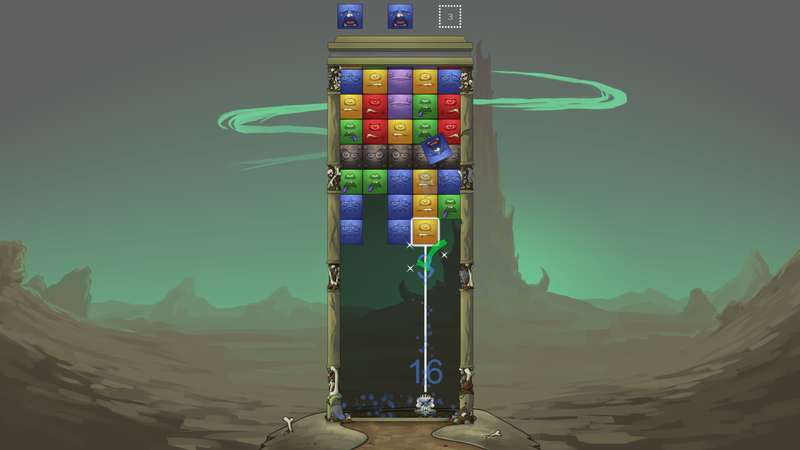 Complex puzzles that often require 3 or more attempts are hardly typical of the genre, and Tumblestone is chock full of fail states, especially in the campaign. Despite the frequency of failure, it's never particularly frustrating, since the campaign puzzles are static, making it a learning process every time. You'll quickly develop some rules of thumb, like my "always take single blocks before stacks," and just as quickly learn that every rule has its exceptions. 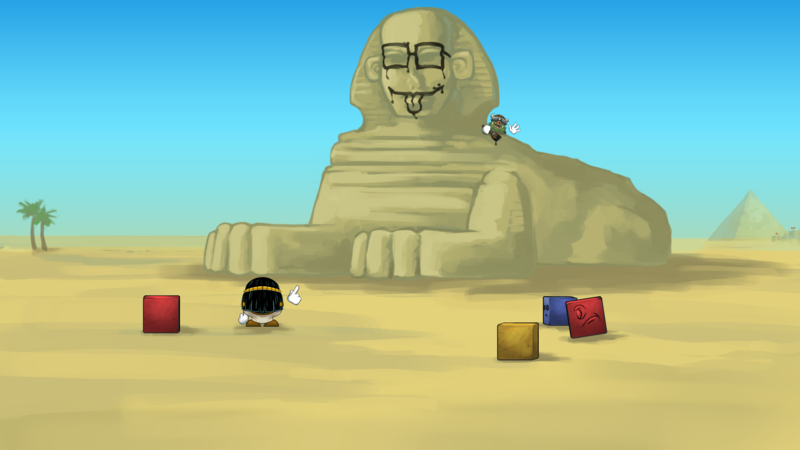 In this particular regard, the puzzles in Tumblestone remind me a bit of learning a language. You need to master the basics before you learn how often the basics are actually wrong. As you make your way through the campaign, your rules of engagement will evolve a you learn to spot familiar block patterns. 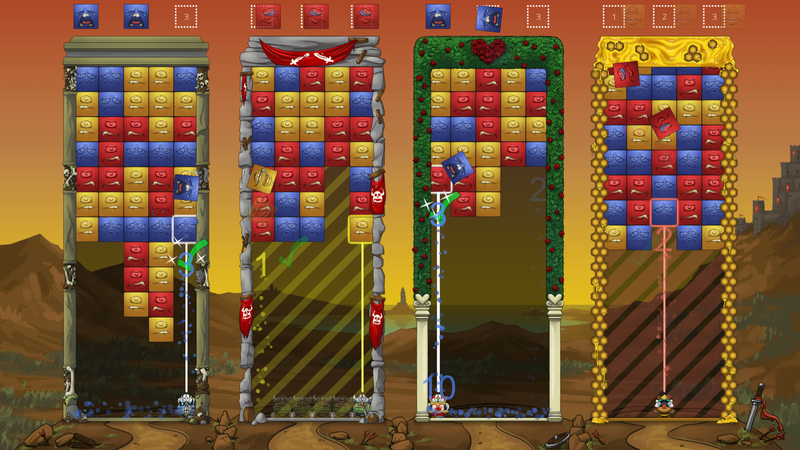 Tumblestone is a match-3 game that requires an adaptive strategy, and there's way more to the multiplayer. 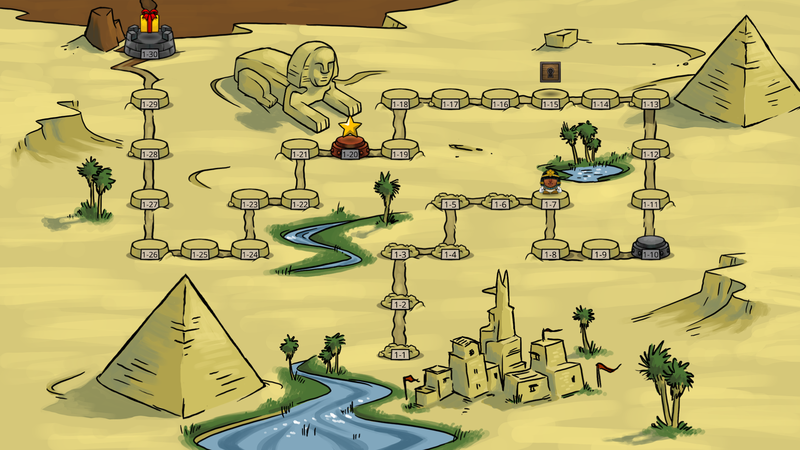 The campaign is extensive, featuring upwards of 400 levels (Author's Note: I did not finish the campaign, so this is a rough estimate.). That translates to something on the order of 50 or more hours of gameplay. It may dismay you to know that the entire campaign seems to serve more like an extended tutorial for how to beat your friends in multiplayer. As your approach evolves with the campaign puzzle complexity, you'll find that you spot and execute sequences in multiplayer more and more quickly. Friends that only play multiplayer will have a hard time matching the training the campaign has to offer. Practice makes perfect, as they say. 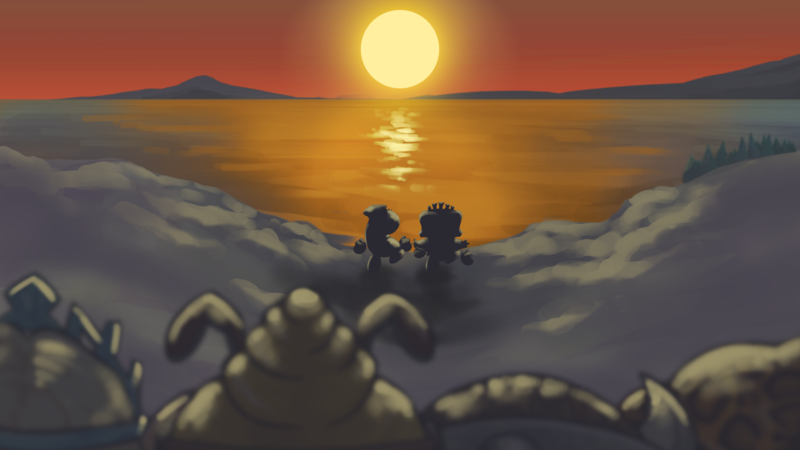 Perhaps the most beautiful thing about Tumblestone, of course, is the fact that you can train all day long, and multiplayer will still be fun, even against casual players. In a local multiplayer environment, if one person dominates every game, it quickly stops being entertaining for anybody at all. 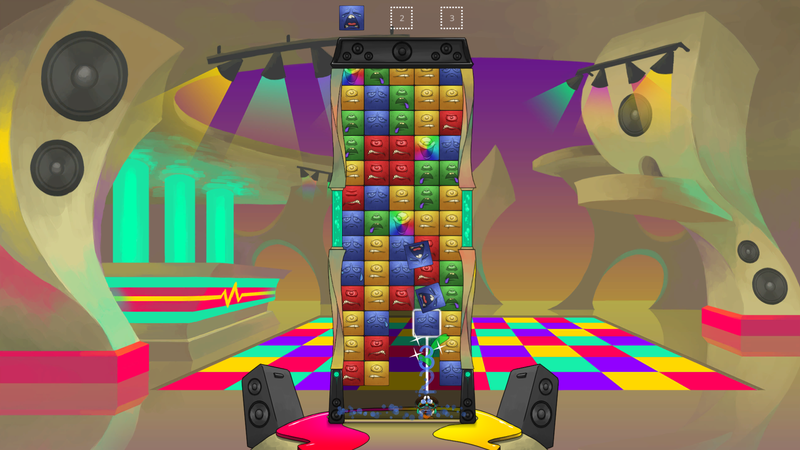 Tumblestone combats this with a variety of difficulty-scaling features in multiplayer that helps even the odds and keep things tense on the fly. 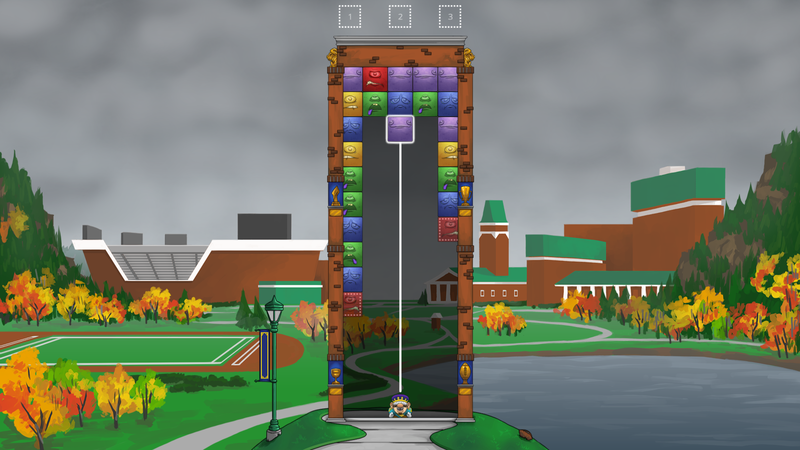 If one player clears a puzzle in just a few seconds, that player's next puzzle may be a couple notches more difficult, while his opponents' puzzles might be bumped down a notch. I'd recommend playing sets of 3 for 3-4 players, but always play sets of five with only 2 players to give the scaling system time to do its thing. The MP offerings have been streamlined to just three modes. Battle mode is like a block exchange. I clear a block, you get a block, and vice versa. If you want a longer match, this is a great option, since similar skill levels can really have at it in the block-throwing fight. Tug of War mode is similar, but instead of a block-by-block approach, you have to clear a whole section of your screen, but then the opponent gets the entire thing, which can be backbreaking in the intense, fast-paced environment. Puzzle Race is the purest mode, in which players each get a puzzle (not necessarily the same one) and race to complete it. There's no interaction with your opponents, except the inevitable punching (and occasional unplugging of a controller) during local play. There's not much more to say. 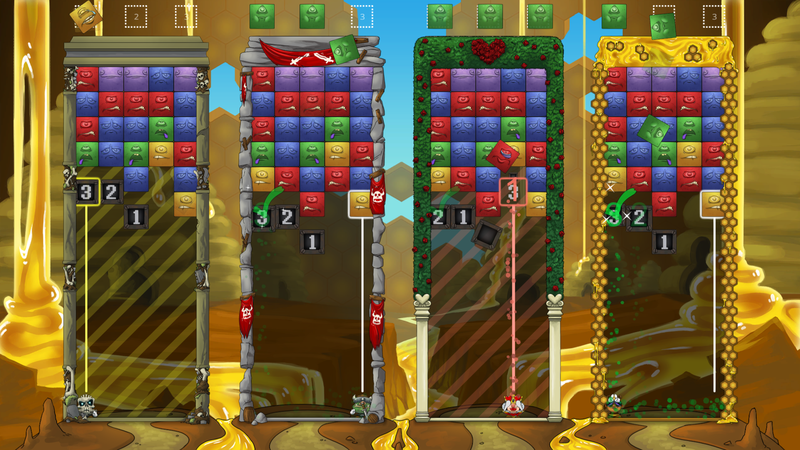 You don't even have to really like the match-3 genre to enjoy Tumblestone. Barring some sort of moral or principled objection to the genre, you definitely need to play it. It is a rare breed of game that offers exactly what it promises, and does so flawlessly.